Good morning from Augusta, where the merciful last day of the 2018 legislative session was made less quiet on Thursday by Gov. Paul LePage, who made a threat that moved lawmakers to pass a bill that many Republicans didn’t want. The all-or-nothing Republican governor may not see it as a win. The Legislature ended up passing a priority LePage bill aimed at shielding seniors from municipal foreclosure only after making changes that some rank-and-file Republicans remained mystified by after quick votes. LePage, who will leave office in early January, also won an override vote Thursday on possibly his final veto, and lawmakers reflected on a difficult two years punctuated by the 2017 state shutdown, the first in 26 years, and seemingly couldn’t have ended without another hurdle. There were few plans to pass LePage’s foreclosure bill until he threatened to call the Legislature back to deal with it. Just after the Legislature began work on Thursday, the governor emerged from his office to excoriate lawmakers — chief among them Senate President Mike Thibodeau, R-Winterport — for not advancing the foreclosure bill that he teased in his last two State of the State addresses. His bill would have created a special municipal pre-foreclosure process. Municipal officials opposed it, calling it onerous. LePage was right that there were no plans on the part of presiding officers to advance the bill before the Legislature left town. 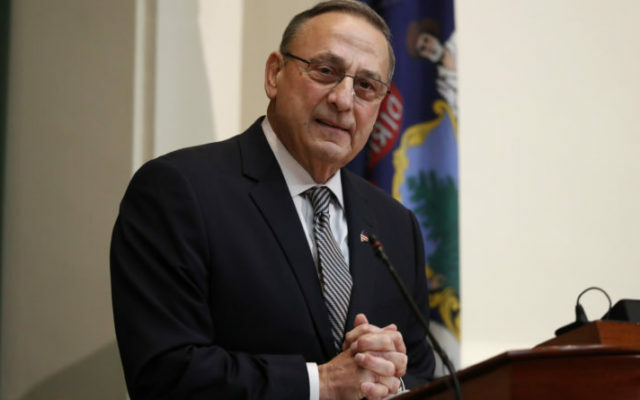 To read the rest of “A LePage last stand, cost estimates and parting words from the Legislature’s final day,” an article by contributing Bangor Daily News staff writer Michael Shepherd, please follow this link to the BDN online.